Who wouldn’t remember the famous song by Celine Dione? There was a time when it constantly played on every radio station. Some hopped with joy, while others cringed. It reminded us of the movie Titanic, a romantic tale about what happened on the luxury cruise. That was a movie and a song, only fiction. However, there is good news for those who want to experience the magic for real. 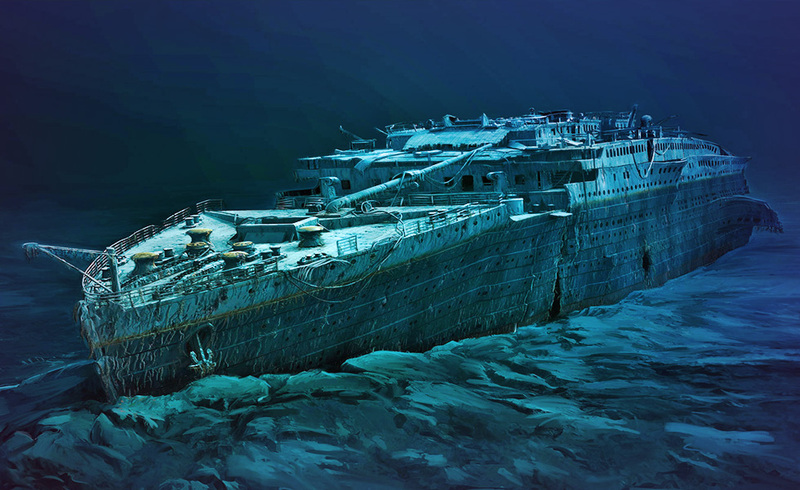 The wreckage of the real Titanic will be open for visitors once again. In 2018, Blue Marble Private is arranging diving cruises to the phenomenon. You can dive into the deep blue sea, searching for treasure. You can also enjoy venturing on an exploring adventure of the wreck. Although, of course, you need to be an expert diver to complete the ‘task’. Not to mention that the itinerary costs a shy amount of $105,129 – per person. Still, the first voyage is full. If you are a Titanic fan, you might want to consider emptying your pockets, even though the dive costs a ‘small’ fortune. A study claims the wreckage will disappear in 15-20 years’ time, because bacteria are eating away at the ship. What if you want to be part of the adventure, but can’t afford the price? Or what if you can’t swim? Well, fear not, there is a solution, although you might have to wait a little. There are other companies who are competing for the rights to conduct explorations. We can only hope that their prices would be friendlier. Then there is still even better news for those who fear the water. China is building a life-size Titanic replica that will be authentic and cosy and on solid land. Sounds like a dream come true, doesn’t it? Well, only time will tell whether these replicas will live up to their ‘ancestor’. In the meantime, let’s visit the Titanic Museum in Northern Ireland. Let’s consult the cards. It seems like Titanic will have a say in these projects and so will time and nature. There is a lot of competition, and not everyone can be won over. The first cruise might be booked, but the alternative options seem better (and cheaper) for many. Ten of Pentacles: This card represents the creation of a lasting foundation. Titanic will be built again, and later generations will be able to witness the phenomenon. Not all is lost, as it seems. Complete success is in the future of Titanic (or its replica). It will bring a smile to many faces, reminding us of our past and heritage.